Gabe Newell gave a presentation at the Showdown LAN event the other day (thanks Greg), which seems to have focused on the Steam Community. Fortunately for us someone had a camera, but don’t get too excited: there’s nothing particularly remarkable yet. The Game Developers Conference is Steam’s E3 (or Leipzig if you want to be picky) and as usual there are several sessions relating to it scheduled, this year predominantly in the wider context of the indie-to-AAA development path. Gabe Newell speaking at D.I.C.E. 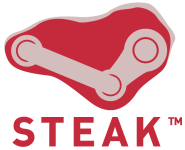 GameSpot reports that Gabe Newell will be speaking on Steam at next year’s D.I.C.E. Summit, due to be held in February.